The event was inaugurated in 2008 when 64 sailors of six different nationalities took part in the series which featured regattas in each of the Netherlands, Italy and Turkey. The 2009 edition saw 88 sailors from seven different countries taking part. Thanks in part to the very successful World Cup event in Bracciano, the 2010 series saw another large increase in the number of Cockshott Trophy competitors, with 137 sailors from sixteen countries taking part. In 2011 the series was expanded to include events in France, Germany and Slovenia in addition to the traditional venues of Italy, Holland and Turkey. Thanks to this, no fewer than 178 helmsmen and helmsladies competed, making this the most successful Cockshott Trophy Series to date. Despite the Kaag event being removed from the 2012 calendar (because this event does not accept plastic boats), the overall entry nevertheless totalled 169 competitors. Inevitably, the introduction of the CWC Friendship Series resulted in fewer Cockshott Trophy events and a corresponding reduction in the number of qualifiers in 2013 & 2014, however it was nice to see some new names and new countries on the podium! 2015 saw the introduction of an experimental scoring method designed to better handle the variation in the number of competitors in individual Cockshott Trophy events and to offer more encouragement to sailors who show most commitment to the series. The 2015 Series was notable in that for the first time one nation occupied the podium: Italy's Enrico NEGRI finished first, followed by Vincenzo PENAGINI and Emanuele TUA. New venues for 2016: the German event will take place on the Matsee in Austria and the French event at Loctudy, Brittany. The series will start with the traditional Bombola d'Oro Portofino, Italy. was presented to the Association by the Cockshott family in October 2009. 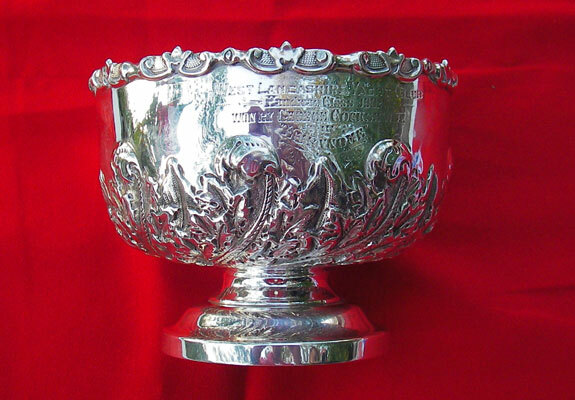 The Cockshott Trophy is open to 12' dinghies that have been constructed to the specifications of one of the national associations of the 12 foot dinghy class. If you are not sure whether your boat qualifies - please ask us! The 2016 Cockshott Trophy series will comprise four events. In order to qualify for the 2016 series competitors must enter a minimum of two events. The results of all four events will be counted. The series winner will be the competitor with the highest number of points. All competitors will be considered as DNS (0 points) for events in which they did not compete. The scoring method is to be used on event results, not for individual races within an event. Results will be published on this website as soon as possible after each event. A spreadsheet showing the number of points for position/entrants will also be available for download from this website. C = the number of competitors taking part in a regatta.